Marilyn Manson has explained why he had to cancel his appearance in Toronto last week. 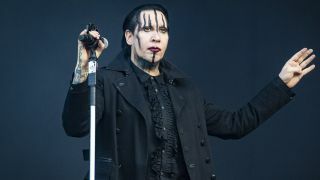 A new statement reads: “Marilyn Manson was unable to perform on his and Rob Zombie’s Twins Of Evil tour in Toronto night due to the flu. Manson did indeed take to the stage in Montreal, with the tour set to continue on August 7. Find a full list of dates below. Earlier this month to mark the start of the tour, Manson and Zombie released a cover of the Beatles’ classic Helter Skelter.